Find Colts Neck homes for sale, Colts Neck estate homes or homes in Colts Neck. 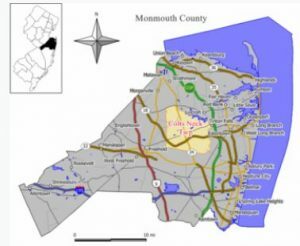 What is now Colts Neck Township began as Atlantic Township in 1847, and the name was changed to Colts Neck Township in 1962. It was formed from portions of Freehold Township, Middletown and Shrewsbury. Colts Neck was recently ranked as New Jersey’s 16th wealthiest municipality. Strict zoning ordinances in the town has kept out urban development and chain stores. Originally a farming community, Colts Neck has long been known for its large number of equestrian farms. In recent years, much of the town’s farm land has been developed with large homes in Colts Neck and sprawling estate homes. Home prices begin in the $400,000s, however they can also go to $5 Million or more. The 2010 Census reports a population of 12,331 people and 3,193 households. And the median household income was $154,491, while the per capita income was $65,919. Students will attend the Colts Neck School District which has Pre-Kindergarten through 8th grade in three schools. When students reach high school children will attend the Freehold Regional High School District, which consists of six high schools. The schools are Manalapan, Freehold Township, Colts Neck, Freehold, Howell and Marlboro. Children attend the high school according to boundaries set by the district. Therefore, most children in Colts Neck will attend Colts Neck High School. Specialized Learning Centers are in each of the six high schools for students who are talented and highly motivated. As a result, any student from the region is eligible to enroll through a competitive admission process. In fact, Colts Neck High offers courses in law and public service, a Navy JROTC character and a leadership development academy. In addition, many Colts Neck students attend private schools. Numerous private schools are in the area, for example. Ranney School, Christian Brothers Academy, Peddie School, Red Bank Catholic among others. Live music is at the Freehold Raceway Mall Summer Concert Series, in addition to the weekly free concerts in Freehold Boro. Also concerts are at iPlay America, an indoor Theme Park. Also, in Red Bank you can visit the Count Basie Theater for concerts and shows, or plays at the Two River Theater. Colts Neck has numerous parks and nearby, the Manasquan Reservoir is in Howell, offering fishing, hiking trails, bicycling and more. Don’t miss the 4th of July fireworks display, or go to Freehold Raceway which feature live harness racing for trotters and pacers. New York City is less than 2 hours away by car. However, you can also take a bus or catch a train from Matawan. If you prefer, Atlantic City is less than 2 hours drive. Colts Neck has multiple private golf courses and there are many public courses in Monmouth County. Call 732-616-6226 to see Colts Neck Estate Homes, Colts Neck Homes For Sale or homes in Colts Neck.